NPQ has long been covering the topic of stakeholder revolts, wherein board and leadership of nonprofits violate the values of constituents, donors, and other stakeholders, and stakeholders rise up in response. Are we looking at another such case here? We knew that John Melia, founder of the Wounded Warrior Project, had offered to return to the organization after CEO Steve Nardizzi and his COO Al Giordano were ousted last week, but now that offer has apparently garnered the support of a group on Facebook and a petition on Change.org. Still, as far as we know, the board has yet to indicate any interest or get in touch with Melia – not that NPQ feels that his candidacy per se is so important to the organization’s future but the donor involvement is. Meanwhile, according to the New York Times, Anthony Odierno, the WWP board chair, has taken the position of interim CEO. He is beginning to speak on behalf of the organization, but is it too little, too late? We’re going to consider any and all candidates that we think is the best fit for this organization and will keep this organization forward and serving the needs to come because the thing about those who have been wounded is they’re going to be living, in many cases, with these injuries for 10, 20 and 30 years, and Wounded Warrior Project needs to be there to serve them. As he moves to take charge, Odierno, who insists that the board moved quickly after the allegations of excess were surfaced in January, said donations have fallen off. “Right now we are in a position where we can still meet our obligations,” he said. “But I am concerned about our ability to meet our obligations in the future.”That concern is probably not ill placed, because during this long period of silence, broken only by the odd periodic defensive statement since the scandal hit the press, it may not be just the staff leadership that has lost trust. The New York Times reports that major fundraiser Fred Kane was shocked by the shape of the organization’s response to media after watching a young former Army captain who had lost an arm and a leg in Afghanistan recite an awkward response to the allegations. “Why was that poor guy placed in front of a CBS News crew?” asked Mr. Kane, who has raised more than $325,000 for the organization, in an email sent in February to dozens of high-level donors. “Where was Steve Nardizzi and why didn’t he face the reporter?” Mr. Kane asked. In fact, employees report that Nardizzi has been missing from the organization for some time. “It was like he had been kidnapped,” said one employee. “There was no one there to tell us what was going on or how we were going to get through this.” His cellphone, as well as Giordano’s, have apparently been disconnected. For that matter, where has the board been? Will the same board that has allowed these problems to develop and continue under their watch be trusted to carry it forward? Will donors agree to that? WWP will immediately review all salaries, consulting contracts and leases and take action to ensure excessive compensation for any of its executives, employees or vendors is dealt with swiftly. WWP will no longer pay bonuses to any employee or executive. WWP travel, lodging, and per diem rates will be determined using the United States General Services Administration (GSA). These are the very same rates used by our Active Duty service members when they travel. No WWP employee will travel in any class other than economy. WWP will immediately nullify all nondisclosure and non-disparagement agreements which employees were forced to sign. WWP will disclose the identities, purpose and pay of all consultants. 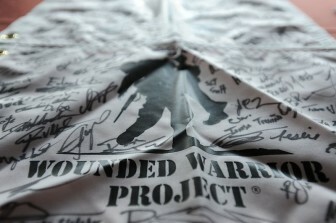 WWP will disclose the identities of all grantee organizations, as well as the amounts granted. WWP will refocus on its core mission of providing aid and comfort to wounded veterans and ensuring family members are supported financially during the recovery period. WWP will effectively advocate on behalf of veterans and will demand accountability from the Veterans Administration. WWP will create a position for an Officer for Integrity and Compliance. This Officer will report directly to the Board of Directors. WWP will immediately suspend television marketing. WWP will never again employ advertising depicting a wounded veteran in a helpless condition. WWP will never again employ advertising depicting a despondent family member. We are willing to bet that some of these points will resonate well with donors even as the board remains restrained about what they believe went wrong. We have seen this pattern before, wherein the board of a nonprofit thinks it has more control, more time, and more license than it actually does—only to get pulled up short. It will be interesting to see how this plays out.